I thought hip hop was supposed to be rebellious. You know, that it would Take A Nation Of Millions To Hold Us Back. But now it seems that Big Hip Hop has become what it was originally rejecting in the first place – a marketing game. Pareles goes on to bring up what’s on everyone’s mind these days: government surveillance. The fact is, we all knew – at some point – that the digital world would be logged somewhere. Those 0’s and 1’s exist, whether or not we see them. It was hard to imagine back when the Internet was being invented. But now it’s not really rocket science: the government didn’t create Big Brother, we did. The generating, logging and trending of these “artificial” status updates was bound to happen. I think we should all be more surprised at Jay-Z and less impressed. The point of exclusivity seems irrelevant at this point. Whether you are trying to win new fans or cater to old ones, accessibility is king. The hip hop community is a community of collectors – from sneakers to speakers. And making yourself more available is more than just paying tribute to the genre’s roots. Hip hop is (or was supposed to be) about power to the people. While collecting new sounds for his fans, Jay is now creating new data for his business partners. You can’t lead the rebellion by collaborating with the system. And while we were all thinking about it, the Internet was hard at work. Comparing Jay-Z and Kanye West has only become natural. People want to know if Yeezus is better than Magna Carta Holy Grail. Released barely a month apart, their two records and the delivery methods set two very separate examples. While everyone got to watch Kanye project himself around the world and jump around on SNL – or even watch either on the Internet – Jay-Z demanded that his fans use a certain make of a certain brand to access his music before they could buy it. And when you think about it, 300 million people live in America. And only 1 million people had access to MCHG (while I can guarantee that Jay-Z has WAY more than 1 million fans) on it’s, let’s call it, a “pre-release” date. Meanwhile the world paints Kanye to be a blasphemous figure of oversized exaggerations and Jay-Z is regarded as an untouchable saint. We complain about Kanye, who uses performance art and a – yes – very conventional method of distribution. While Jay-Z makes his fans jump through hoops of fire to access his art. We know that their personalities aren’t anything alike and their music couldn’t be more different. But they are selling to the same market. Yet, the hip hop hype machine seems to run in two different directions. People chose sides, even when Jay-Z and Kanye don’t. They are figureheads who bring two very unique arguments of marketing to the table. And they get the same reaction: little to no radio play, magazine covers, trending and vibrant sales. And, in the end, when you think about the roots of the genre (stolen by way of looping vinyl records and borrowed electricity) and compare it to how it’s become a soundtrack to American life (movies, television, video games) it’s hard to imagine the world of exclusivity and pay-to-play that Jay is instituting. Instead of fighting the powers that be, Jay is working with them: giving Samsung money, advertisements and synergy with (one of if not) the biggest name in music. The “intrusive nature” of this app is counterintuitive to everything hip hop stands for. 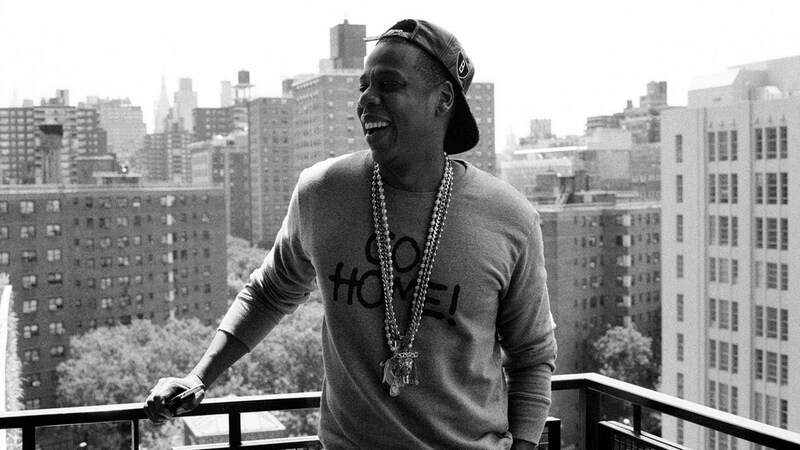 The news about Magna Carta Holy Grail should be that it’s a phenomenal record. MCHG should challenge us with every head nod. Not invade our privacy with every swipe. ← Yeezus, Mary and Joseph. It’s Here.